If you’re like most companies, you’re fairly familiar with the different levels of IT support packages. Bronze, Silver, Gold, Basic, Advanced, Premium. Whatever marketing speak these packages are wrapped in, they pretty much all work the same way. You get an hourly rate based on the service you need. They work in blocks of time. And the actual bill detailing the hours performed for your service level is often is super confusing. This usually leads to frustrating downtimes, costly bills, mystery fees and disappointing outcomes. Sora is different. We’re all about results – no matter how long it takes us. 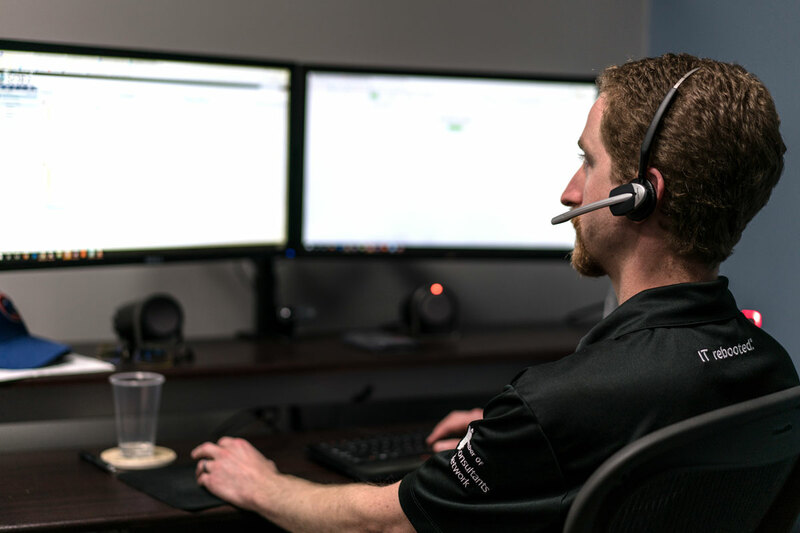 We offer only one IT management program (keep it super simple) and complete managed IT solutions (that’s business speak for pretty much every IT service you can think of). Partnering with us is like having your very own IT department, with unlimited support, for a simple fixed monthly rate. Plus, we walk you through everything! Our BTA Business Technology Advisor® helps you to understand how different IT solutions can help your business and tell you what you can do to gain the most benefit from the IT rebooted® program.